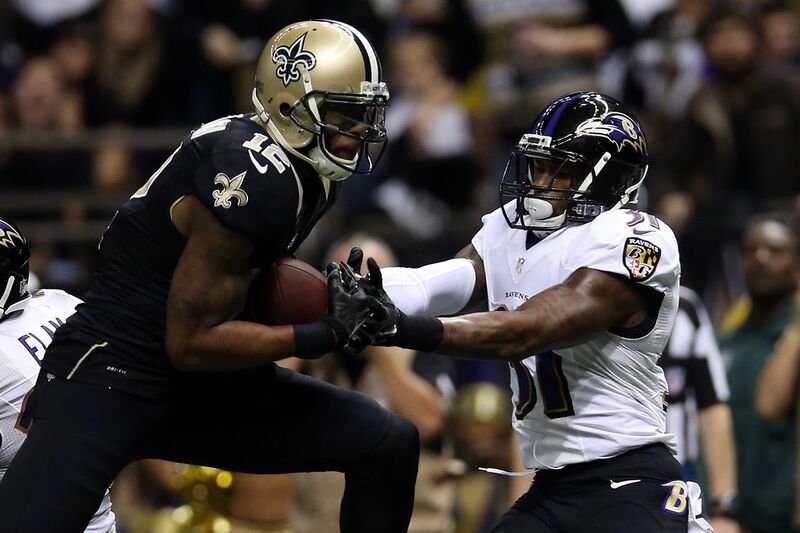 The New Orleans Saints travel north to take on the Baltimore Ravens this afternoon. This will be only the 7th meeting between the Saints and Ravens, and the fifth time that they’ve played each other in Baltimore. New Orleans has just one victory in six attempts against the Ravens, who became home to Art Modell’s Cleveland Browns when they moved there in 1996 and were renamed. The Saints played the relocated franchise in their second game in Baltimore after the move, during week five of the 1996 season. New Orleans quarterback Jim Everett completed 23 of his 30 pass attempts, but was sacked six times, and Baltimore rode the legs of veteran Ernest Byner’s 149 rushing yards on the way to a 17-10 Ravens win. The teams would meet again late in the 1999 season, again in Baltimore. The Saints held the Ravens to 61 yards rushing defensively while intercepting four passes and racking up five sacks on the afternoon. Unfortunately, the defensive effort was wasted because of a pathetic offensive showing by the team. They rushed for a paltry 11 yards for the game, and New Orleans quarterbacks Billy Joe Tolliver, Billy Joe Hobert, and Danny Wuerffel combined to complete only 43% of their passes and threw four interceptions in a 31-8 loss. 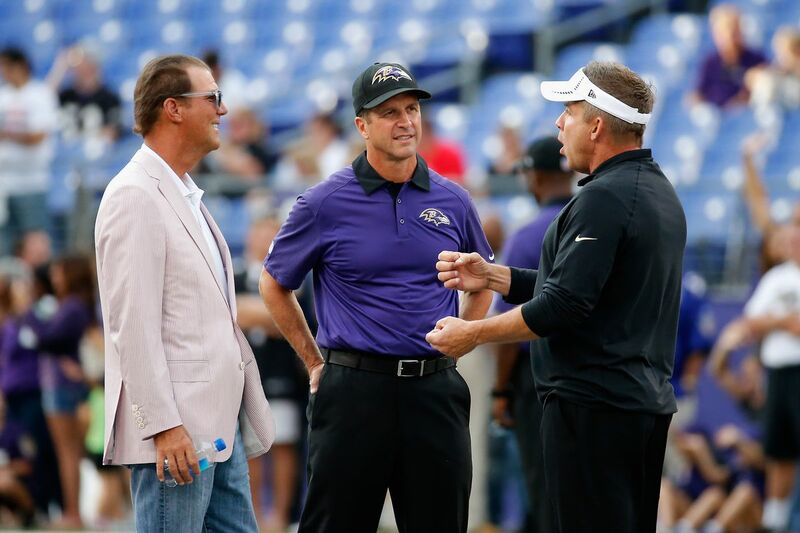 New Orleans woes in Baltimore haven’t been limited to just the Ravens. The Saints would play the then-Baltimore Colts three times between 1967-73, including two times in Baltimore, losing each time. The Saints would get their first (and only) win against the Ravens on December 8, 2002 in Baltimore. Despite losing quarterback Aaron Brooks to a shoulder injury midway through the game, the Saints would prevail 37-25, on the strength of 127 yards rushing and 3 scores from running back Deuce McAllister. New Orleans also controlled the game thanks to 2 interceptions, 3 fumble recoveries, and 2 blocked punts on the afternoon. Sean Payton and Drew Brees are 0-3 against Baltimore since joining the Saints in 2006. In fact, the Ravens are the only team that Brees has never defeated during his 18-yr. career, losing once to them as a starter for the San Diego Chargers in 2003 as well. The first time Brees faced Baltimore as a Saint was on October 29, 2006, which was also the Ravens first game played in New Orleans. Wide receivers Marques Colston and Joe Horn combined for 11 receptions, 289 yards and two scores out of Brees’ 24 completions and 383 yards passing. Unfortunately, the Saints were held to just 35 yards rushing, and Brees threw three interceptions in a 35-22 loss. The only time Brees has played in Baltimore was during the 2010 season. The Saints were the defending Super Bowl champions, but were held to just 269 total net yards on the day, including a lowly 27 on the ground. Ravens running back Ray Rice accounted for 233 total yards on the afternoon, and Baltimore kicked two late field goals to gain a 30-24 victory. The last time these two played was on November 24, 2014 in New Orleans. Once again the Saints were unable to establish a running attack, as their top backs Mark Ingram and Pierre Thomas combined for only 46 yards on 16 carries. Drew Brees threw for 420 yards and three scores, but was sacked four times and under constant pressure. Ravens running back Justin Forsett gouged the New Orleans defense for 182 yards and two touchdowns, as Baltimore emerged victorious again 34-27. 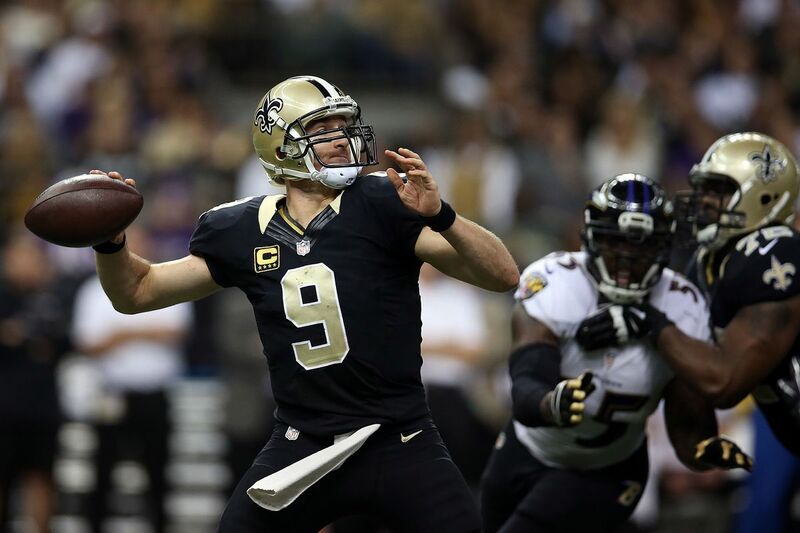 Brees has averaged 357 yards and thrown for nine scores in his match ups against the Ravens, but has been sacked a total of ten times and thrown 8 interceptions. New Orleans will face a similar type of aggressive Ravens defense this time around as well. Baltimore sits near the top of the league in nearly every defensive category and puts heavy pressure on quarterback. The Saints return Mark Ingram to the lineup however, making them one of the most diverse offensive attacks in the NFL. The Ravens offensive attack relies on Joe Flacco hitting big plays down the field, something that the New Orleans defense has struggled to prevent much of the year. The Saints defense puts heavy pressure on opposing backfields themselves, and have been playing better with each passing week. Each squad puts heavy importance on the kicking game, and both teams have outstanding punters and placekickers. A game that features two future Hall of Famers in Brees and Baltimore’s Terrell Suggs, along with young and rising stars on both sides may come down to a battle of punting field position and clutch field goals.